Biggest has been a little obsessed with Minions for some time. I have watched Despicable Me approximately 234 times. So when we were asked to do a Minions toys review, I knew we had to take part. 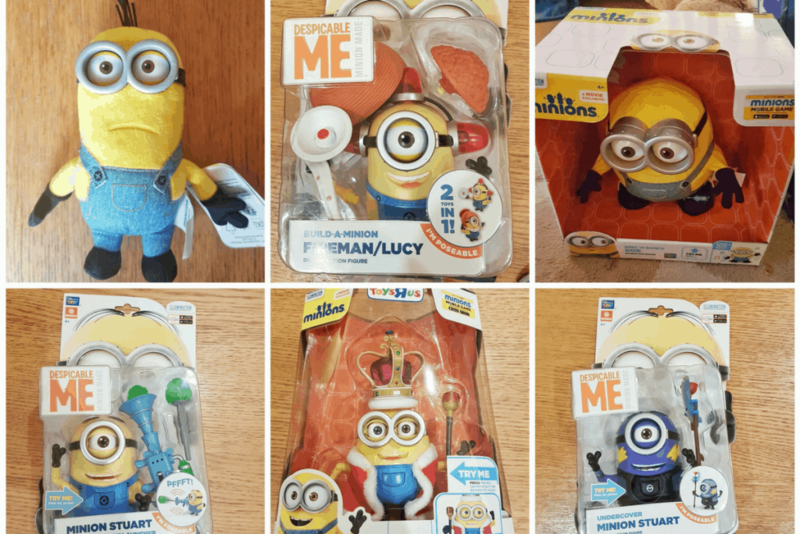 We received a huge box of Minions goodies and I have seldom seen Biggest so excited by toys. 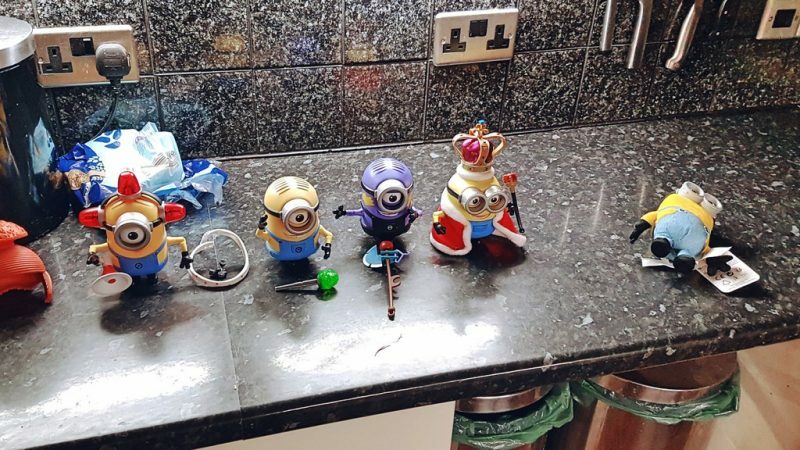 These toys are an absolute must for any Minions fan. Our favourite, a huge hit with both Biggest and Littlest, was the amazing interactive Talking Sing N Dance Bob. Not only does Bob sing and dance, he also responds to your voice. Ever since Bob arrived the children have been enthralled by him. They will both sit and watch him sing and dance for long periods, taking turns to shout ‘Bob!’ to prompt him to sing and dance and again. The other action figures were perhaps aimed at slightly older children. They have small and fairly fiddly parts, meaning that Biggest didn’t really take advantage of the accessories and interchangeable parts. Having said this, each of the action figures has a moving mouth and eyes. (See video above.) Biggest loved this and was pleased just to play with them while making their eyes and mouths open and close. The quality and attention to detail in each figure is excellent. I think that these toys would make excellent gifts even for older fans – perhaps even up to adults. They are beautifully made and make great collectors’ items. 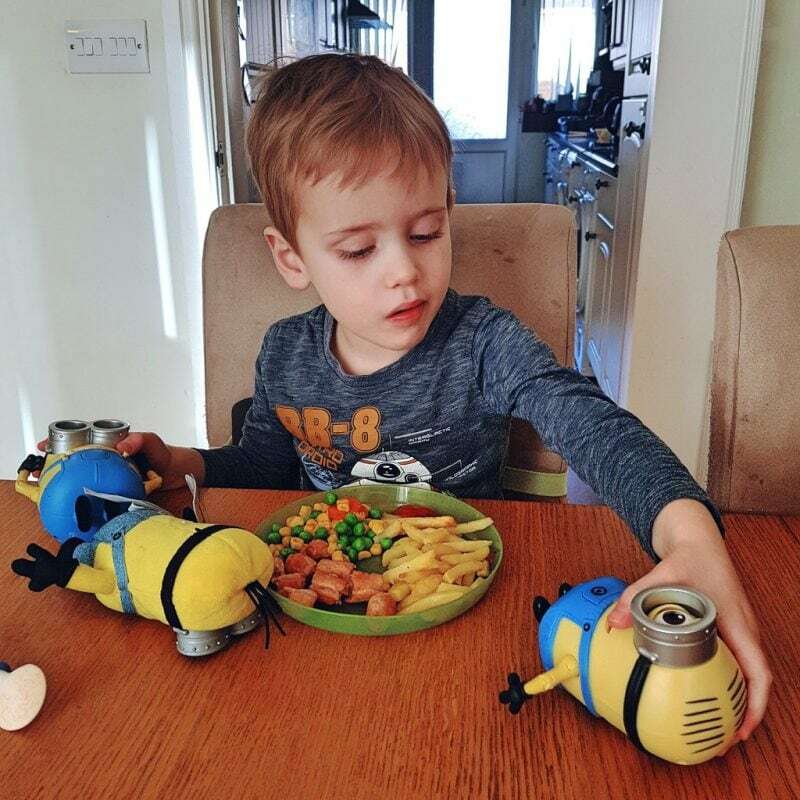 Biggest is currently taking the minions with him wherever he goes, meaning we are eating meals with them. 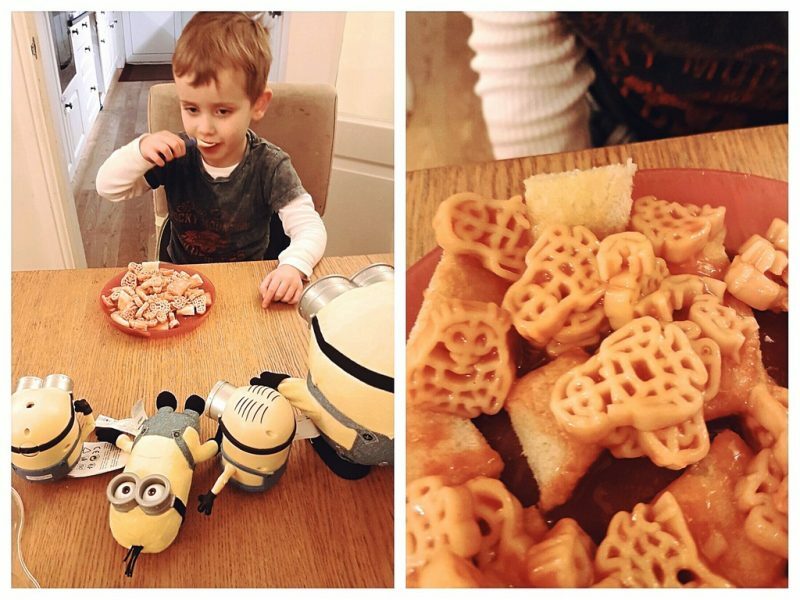 Here he is enjoying delicious Minions Spaghetti, while forcing all his Minion friends to watch. Not macabre at all. 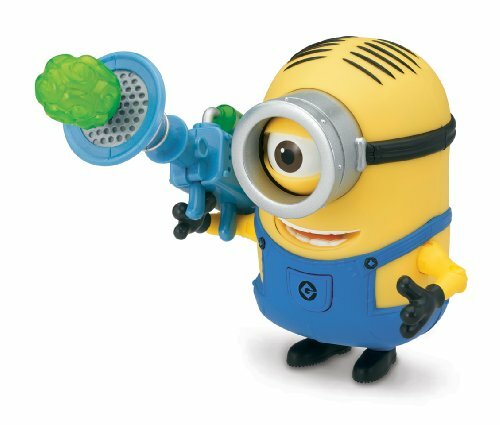 Another big hit was the ‘fart gun’, which readers may remember from Despicable Me. 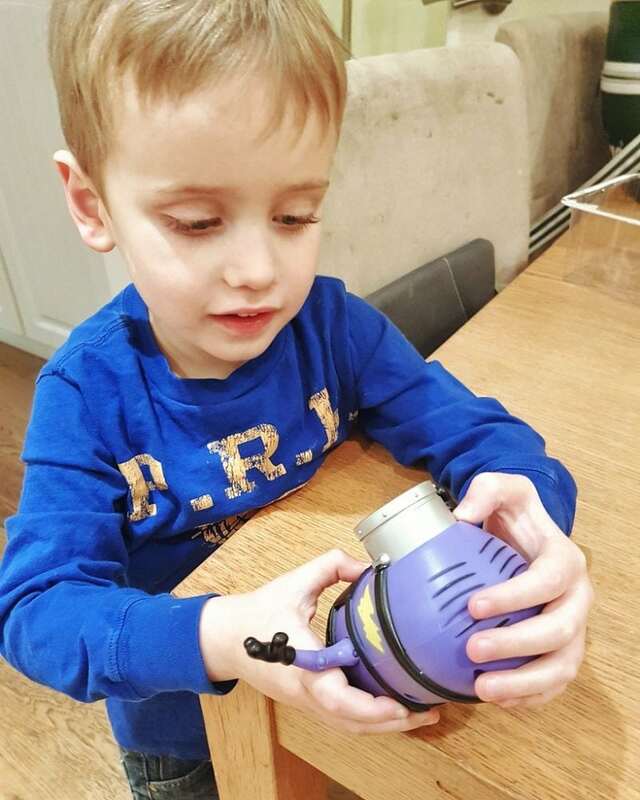 This accessory actually shoots the plastic farts a fair distance – something both children find hilarious. However, they do have a tendency to try to shoot at one another. This may be another reason why I think the age 4 and up guidance on the toys may be a little young. Overall, we loved the Minions toys but our biggest hit was Dancing Bob. If you have Minions fans and you can get your hands on him before Christmas, I think he will make a very well-received gifts for most under 12s. I love that spaghetti set-up, it’s beautifully odd! 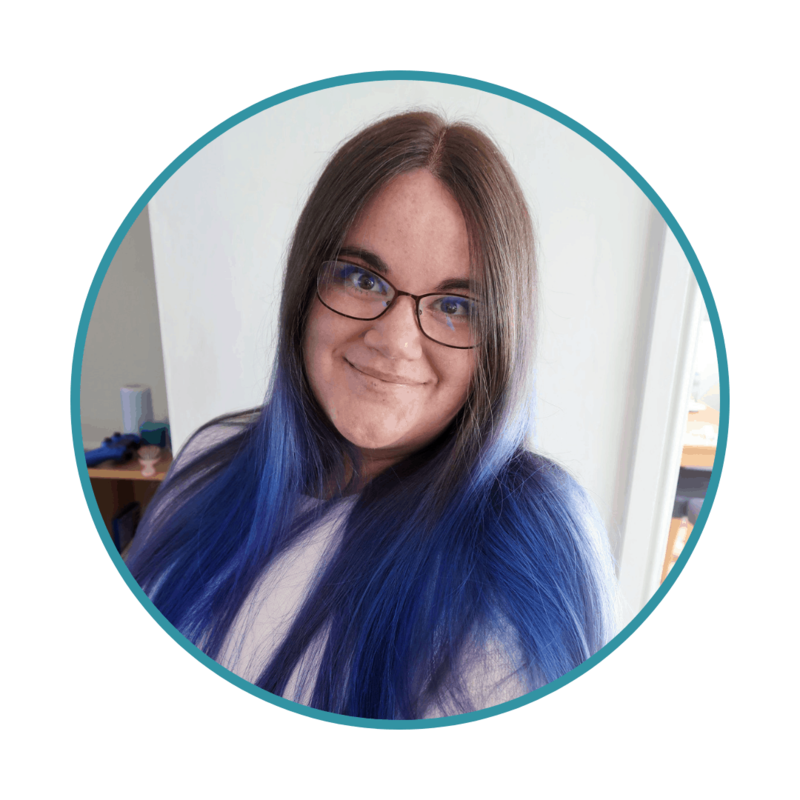 It’s one way of squeezing as many Minions as possible into a situation, anyway… A very helpful review, thank you.